Message reads, "Pure water. Arrive well to your destination." 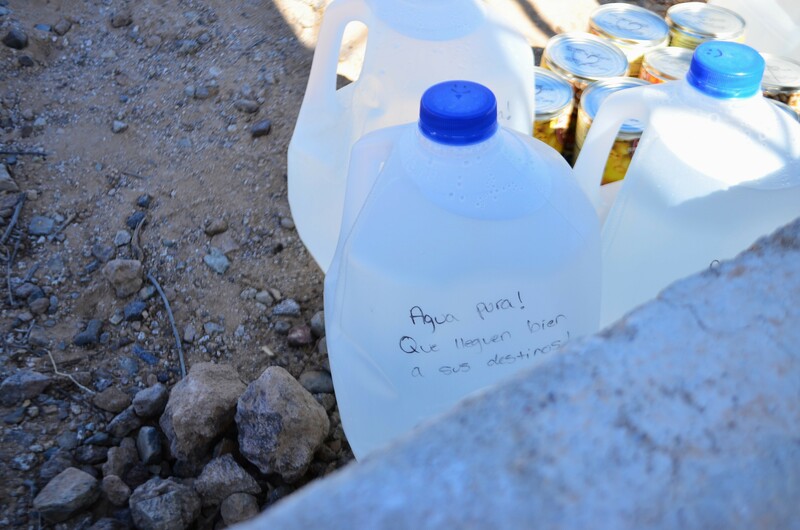 Four humanitarian aid workers were found guilty Friday on misdemeanor charges involving leaving aid in a restricted area of Cabeza Prieta National Wildlife Refuge after a three-day legal battle. 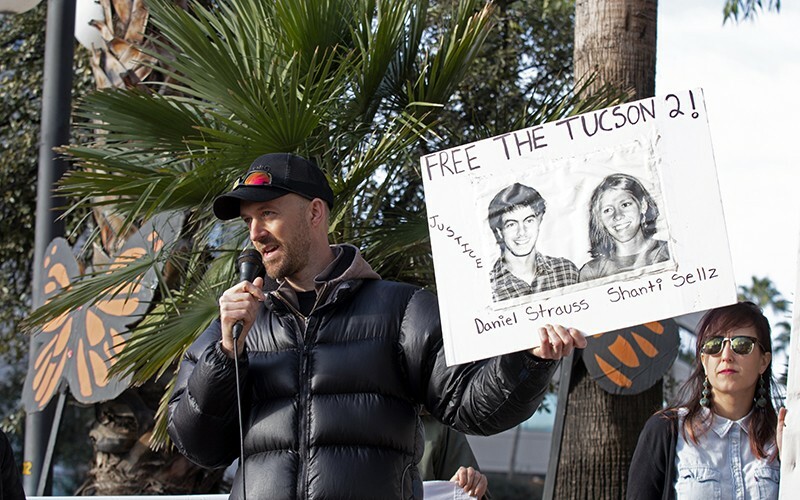 Dan Millis, a No More Deaths volunteer who was convicted of littering in 2008, shares his experiences with protesters outside the Deconcini Federal Courthouse on Tuesday. Four more No More Deaths volunteers are scheduled to begin their trials on February 26.